← Festive Greetings From Chippy News! For a small market town, Chippy had a lot going on in 2011. Here are just a few of the events that took place – all covered by the print version of Chippy News. February: The new style Chippy News was launched. March: Ken Norman’s “Big Society” video about Chippy Lido funding went viral. April: The summer season at the Lido started, with the cafe under new management. May: The Westgate department store on Topside was bought by Bournemouth-based Beales. June: David Cameron officially opened the town’s new hospital. 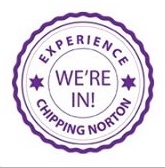 July/August: Four new trustees were appointed at the “thriving” Chipping Norton Theatre. September: Dean Pit controversially closed, leaving people with a long trip to find their nearest tip. October: Thames Water’s pipeworks – originally due to have been finished in the spring – now miss their new deadline. November: The Town Council unanimously rejects controversial plans for a new, edge-of-town Sainsbury’s. December: Organisation starts for the town’s Neighbourhood Planning Project – one of the government’s “frontrunner” schemes to encourage more localism. Those are some of the headlines from 2011 – we wonder what we will be reporting on over 2012? This entry was posted in launches, local people, local services and tagged Big Society, Chipping Norton Lido, Lido, localism, news, Sainsbury's. Bookmark the permalink.